Today is the last day of World Alzheimer's Month, and tomorrow (1 Oct 2015) is UN's 25th International Day of Older Persons. 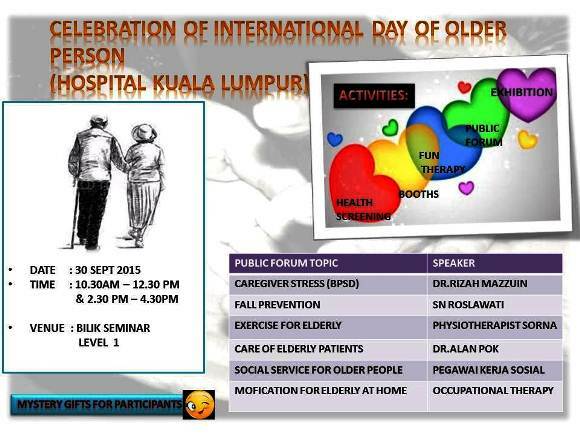 What better way to spend the day than at Hospital Kuala Lumpur's celebration of Older Persons. The main lobby was packed with senior citizens checking out the poster exhibition and queuing up for the various free health tests. But it was the forum that drew my interest, in particular, Dr Rizah Mazzuin's presentation on 'Caregiver Stress'. Dr Rizah is a geriatrician with Hospital KL. Any primary caregiver looking after an elderly person with Alzheimer's can tell you about the STRESS plus FRUSTRATION you will face. You have to look after a person who is often uncooperative, unresponsive and unpredictable. That's the nature of Alzheimer's - a disease which eats away at one's ability to remember, communicate and function normally. Most caregivers are reluctant to seek help from others as they consider it their filial duty to care for their elderly parents, and they should accept it without complaint. However, caregivers who are overly stressed will do more harm than good not only to the care receiver, but also to themselves. They become impatient, irritable or worse, abusive to the person they are supposed to care for. Their health suffers, and they may end up with serious mental problems like depression. Learn to delegate. Also learn to accept that others who help you may not do things exactly the same way as you do. In other words, don't micro-manage. People are more willing to help you if you are reasonable in your expectations. Take care of your health. Exercise daily, follow a balanced diet, and get suffcient quality sleep. Meditation also helps to calm you as looking after an AD patient can be most frustrating, even exasperating. 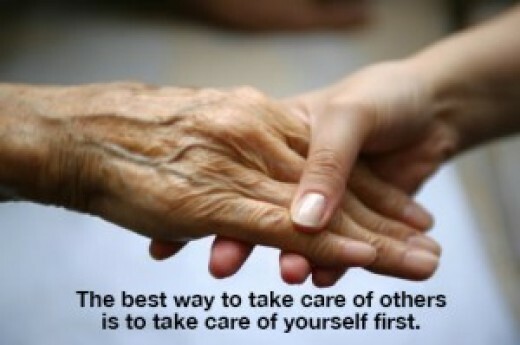 Join a support group like ADFM NATIONAL ALZHEIMER'S CAREGIVERS SUPPORT NETWORK MALAYSIA. 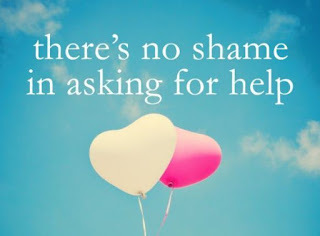 Nothing helps to relieve stress more than sharing your concerns with others who are on the same caregiving journey as you. There is comfort in knowing that you are not alone. Robin Stanley Augustin's recent article 'Caring for the elderly: Ensure welfare homes are regulated' in The Ant Daily drew attention to the sorry state of welfare homes in our country. It's high time the government devoted more resources to improving the quality of life for those living in welfare homes for the elderly. There is urgent need for reforms in this sector. How we treat the older generation says a lot about us as a society. Do we care about their welfare? Are they a priority to us and the government? Are we pushing the authorities enough to ensure their best interests are taken care of?" There are many privately-run retirement centres especially in housing estates all over the country. 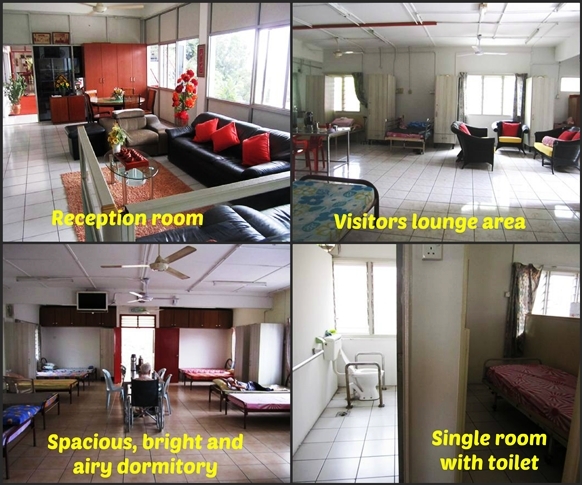 These centres, more commonly referred to as old folks homes provide shelter, food and care to the elderly whose families cannot or will not care for. There is a real demand for the services provided by these homes due to the rising cost of living, the high cost of homes and the number of families in which both husbands and wives are both working full time. Many members of the public are supportive of such homes, donating cash, food items and clothes, and while these are indeed good handouts, it alone does not guarantee that the welfare of the elderly are taken care of. This is because many of these privately-run homes are unregistered and unregulated. This is cause for concern and Universiti Putra Malaysia’s Malay­sian Research Institute on Ageing is calling on the government to address the situation. Most homes, especially unlicensed ones, are understaffed and overcrowded. 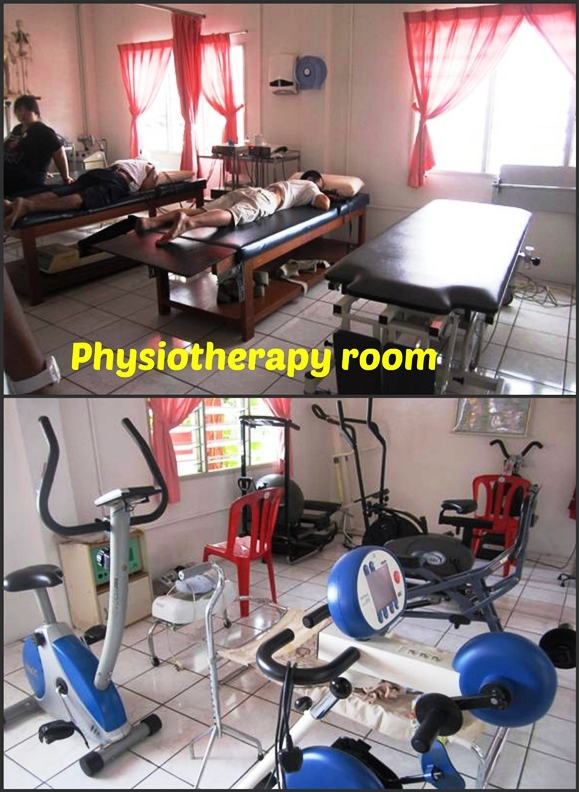 Care is minimal and facilities are basic and spartan. Having visited close to 50 homes in the Klang Valley over the past five years, let me share what I have learned, and offer some advice based on my personal experience. Visit the home personally and see it for yourself. Do not just rely on what you have heard from someone or have read in the advertisement. The home must meet your requirements. Nothing like seeing the place for yourself. 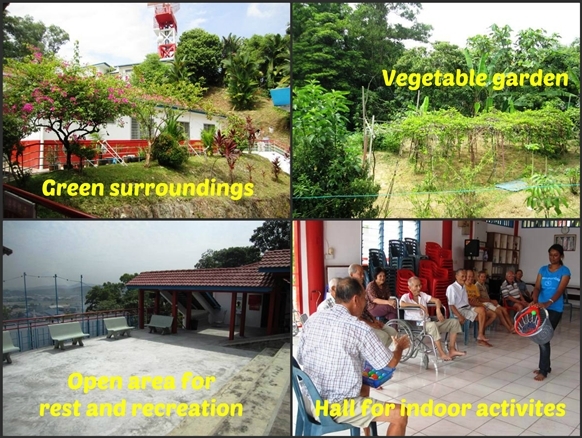 Check if the home has age-friendly facilities e.g. 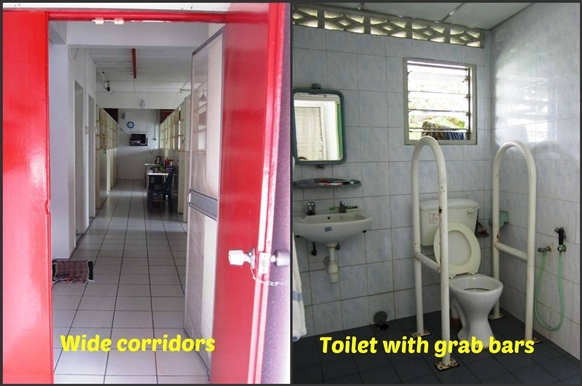 grab bars in the toilet and bathroom, non-slip floor tiles/mats, and easy access for wheel chairs. The rooms should be well-ventilated, spacious and bright. Avoid homes that cram too many beds in each room. Beds should have side railing to prevent falls. Mattresses and pillows should not be lumpy or worn-out. Talk to the administrator or nurse manager. Ask the right questions, For example, what's the staff-residents ratio? Are the carers trained/experienced? Are there regular visits by doctors? What are the provisions for emergencies? Ask about the administrative framework. Is there a board of trustees or at the very least a management committee to oversee the running of the home? I would hesitate to recommend a home that is run by one or two individuals who control everything. Such homes are likely to be unlicensed. There must be checks and balances to ensure proper and efficient supervision and management of the home. 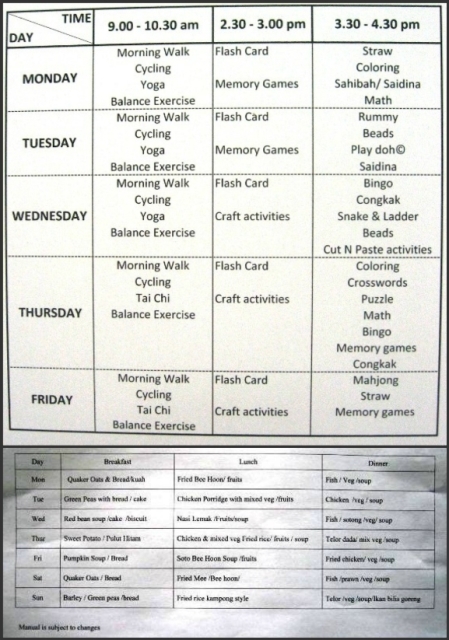 Find out about the daily program of activities, meals and visiting hours. Most homes leave the residents to their own devices. They end up feeling bored or depressed, or staring blankly at the tv screen or at the ceiling. Most government welfare homes are free. However, places are limited, and facilities are basic. 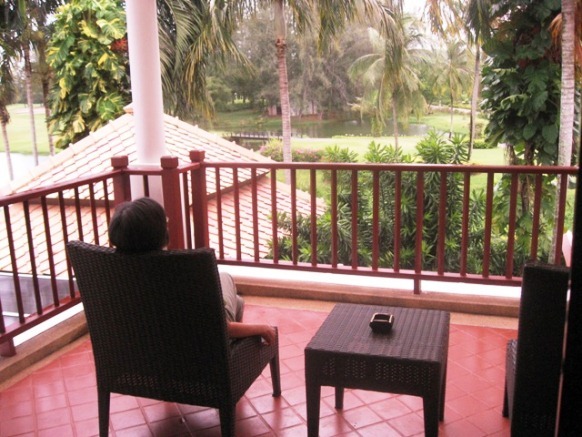 For private homes, charges vary depending on the facilities and services offered. Also how much care and what type of room is required. Generally, monthly charges can be as low as RM1500 and as high as RM5000 or more. Find out if there are extra charges for laundry, diapers, medicine, and physiotherapy. Most private homes require one month's deposit and one month's fees upon admission. Make sure they issue receipts. Find out about refunds, whether in full or pro rata. Visits to the government clinics are free for the elderly. Check that the home doesn't bill you for them. How can you tell if the home is registered and licensed? Well, ask the home manager when you visit and request for the name/business card. If he can't produce one, consider that a red flag. If it's a double-storey buidling, look for a fire escape outside. If there is none, the home is likely to be unlicensed. If the home looks uninviting from the outside, there really is no point in ringing the doorbell. In these days of social media, a well-managed home should have a website and/or an FB page. Do the online research first before visiting a home. Call to make an appointment to visit to ensure the home manager is there to show you around and answer your questions. Here is one welfare home that stood out, and that should serve as a model for other welfare homes as well as privately-run homes for the elderly. 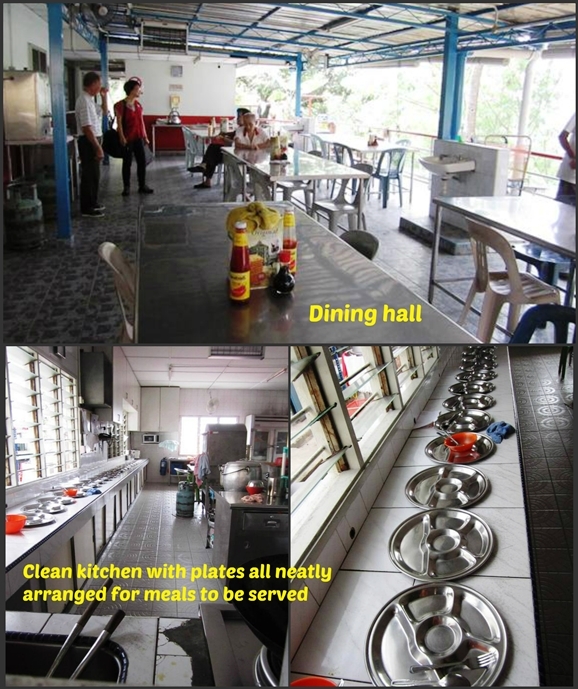 The images below speak for the excellent work of the administrators in providing quality care to the residents of Ci Hang Welfare Home in Shah Alam, Selangor. It takes in mostly the elderly who are poor, abandoned and physically challenged. I hope this article gives you a good idea of what to look for in a good home for the elderly. First impressions do count in this case. If the home is dirty, the furniture worn-out, and the staff look overworked or unfriendly, don't waste a minute longer at the place. You will be surprised how many homes you will strike out from your To Check-out list before you finally find one that is the answer to your prayers. 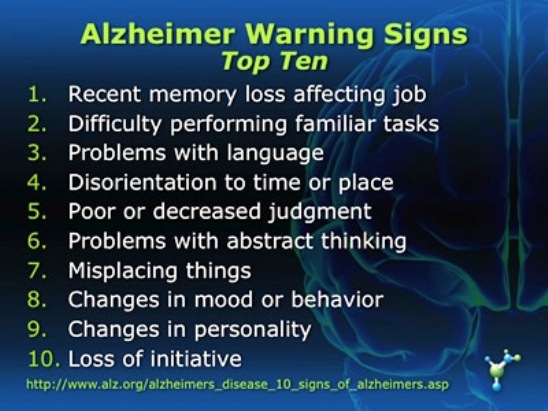 September is World Alzheimer's month. We will be featuring articles that will help promote awareness of Alzheimer's and also share stories by carers on how they cope with looking after a loved one with Alzheimer's - the most common form of dementia. How should we prepare for our future if tests show that we carry the Alzheimer's gene?